Modular fortress wall appoximately 8.25 inches long. Features three playable levels (ground, 1st, and 2nd). 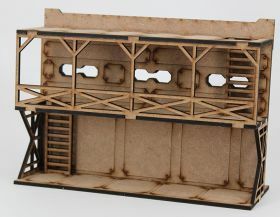 Wall is contructed of two layers MDF and is detailed on the inner and outer surface. 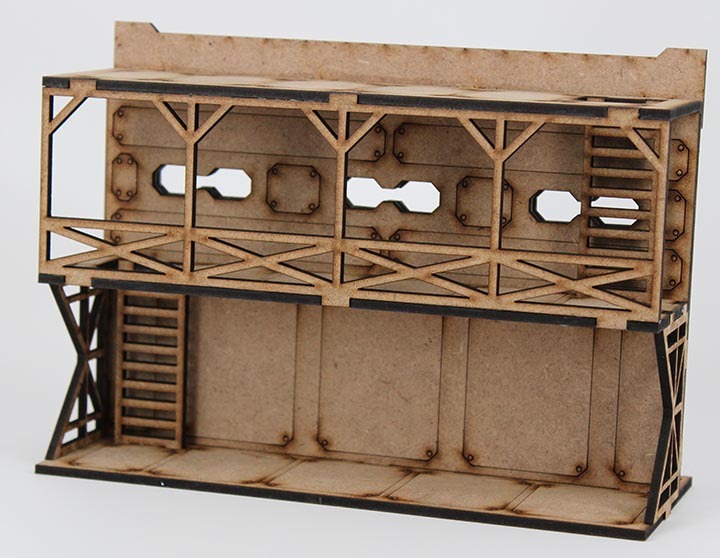 Designed for 28mm miniatures. 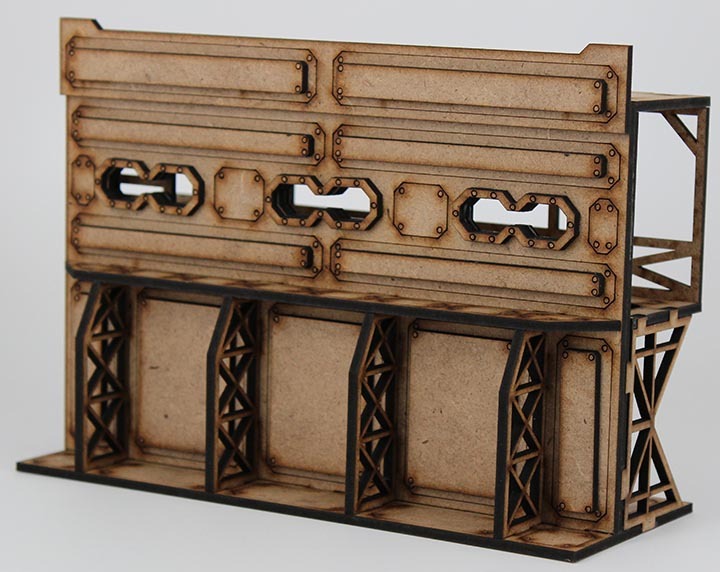 Made of sturdy 3mm MDF board. Kits ship unassembled and unpainted.